Companies want to influence the attitudes and the actions of their employees with corporate training videos and workshops. Smart corporations are using multimedia productions to approach issues such as ethics training programs. A filmmaker will direct the videos, using actors, often filmed in a series of short films. The films might touch on dating in the workplace (particularly a boss and an underling), people who claim expertise in areas they don’t actually have, costs being unethically passed off as company expenses and more. Filming a corporate event can help a business achieve many objectives. Whether a firm is looking to build more cohesive, stronger partnerships, improve group efforts, help employees become better decision makers, upgrade customer service techniques, address conflict resolution or ready employees for corporate changes, a corporate training video can help translate these goals in a visual way that will be remembered. Corporate training videos based upon the above topics could be filmed in a serious tone, making those viewing it aware of the trouble spots that corporate teams can become involved with. LS3 Studios multimedia productions can be made to be more humorous in nature, touching on the subject at hand, but bringing a smile to the viewer’s faces. Some people will recall such productions and the lessons learned more readily. It all depends upon the company and employees and what type of video would work best. But a video would make more of an impact than a binder full of a written code of ethics. That can be handed out as a back-up to the training video. 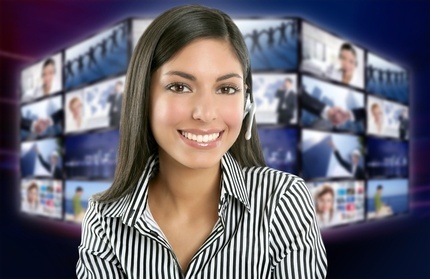 A corporate training video can also be an online training tool. The videos used for training do not have to be shown in-house, where employees are gathered together in a room for an hour to watch a film. Employees can view these videos at their own computer monitors. LS3 Studios can help you produce/direct your training videos. We are just a phone call away! Learning in the classroom today is no longer a matter of just reading textbooks and listening to a teacher’s lectures but, rather, it is a varied use of teaching methods including an educational video production. With the use of an educational video production, teachers are able to engage and interest students that might not otherwise have paid much attention to a certain subject. Any element of a school curriculum can be incorporated into an educational video production without making the topic seem dry or dull. In fact, the opposite is true! Students often view educational videos (that are made by the LS3 Studios) to be exciting, visually satisfying, intelligent, and on their level of understanding the subject matter at hand. An educational video can either be fun, serious, entertaining or very straightforward in what it is trying to convey. It all depends upon how the video is written (our storytelling techniques are unique)and for which audience or age group it is geared towards. With graphics, music, narration, actors and interactive formats, an educational video production can be quite stimulating and a great learning tool to use in the classroom. Theses multimedia educational videos can also be placed on a website for students to view at their leisure. With the use of an online video production, the most important elements of the lesson will be highlighted. Viewers can easily pause to take notes or replay sections to review. An online video production can be designed to one’s specifications just as an in-class video can be; only the viewing atmosphere will be different. Educational video productions are not limited to teachers or school systems. Corporations often require videos to be produced for business seminars. Multimedia videos are often used for trade shows, sales presentations, for training purposes and interviews. Videos that instruct are often used commercially. Take, for example, an exercise instruction video. When investigating educational video production companies, look for a company that can offer a pre-production package to research the project, come up with creative input and story development including a storyboard, have a location for your video and cast the video. You will also want an in-house studio, professional lighting, professional sound, and editing. For multimedia videos, you may look for 3D graphics and/or animation and some audio mixing capabilities.LS3 Studios offers these services and much more! In the end, you will have an educational, mastered DVD that has been made to your specifications. It may be web-streaming-capable and/or be available for Internet viewing. The main purpose of this type of video is to educate your audience, whether they are nine or ninety years old. If your educational video production is visually stimulating, compelling in its story, and effortlessly gets your message across, the job has been done correctly. If this is what you need for your next production give us a call.